I have favored this type of cooking for a long time. 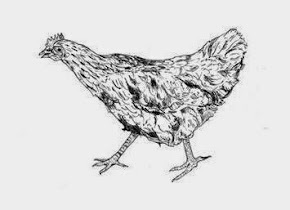 Recently, I also made a similar recipe originating in France, Beuf au cocotte, which I promise to share with you at another time. As I have claimed many times before, this is real food, "old school" cooking with simple but quality ingredients. By allotting cooking its due time most food can be made into a delicious treat - a sublime treat even! Not that one requires any particular methodology in order to make Icelandic lamb tasty - far from it - but this recipe summons the very best from the Icelandic lamb: tenderness, texture, taste, aftertaste. And in good company everything is made so much better! Like I have mentioned above, the only thing this recipe in effect requires is time! You shouldn't attempt to cook this in a shorter time than three hours - but it does not really ask for much attention - it essentially cooks itself. It should be noted that this version of the recipe was cooked for roughly twenty people. Roughly 4 kilos of lamb, mostly chops but also bits of shoulder, are washed and dried thoroughly. Generously seasoned with salt and pepper and then set aside for a moment while the vegetables are prepared and fried. 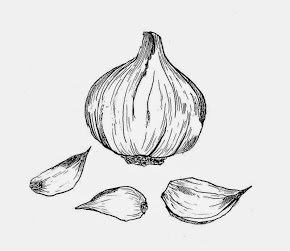 Chop two whole bulbs of garlic along with 4-5 rather large onions - red or white - it doesn't really matter. Peel 3-4 carrots and slice them into small pieces, and the same for a few sticks of celery. A large pot is placed on the hobs and the veggies are fried in plenty of oil - it is probably unnecessary to use a delicate oil like extra virgin olive oil for this kind of frying - many chefs hold that extra virgin oil loses it's specific flavor through frying and it is therefore pointless to waste such good oil - I normally use whatever is at hand! Whatever the case, make sure not to brown the vegetables. When the onion is translucent add the meat and brown on all sides. Introduce the meat into the pot in modest portions, because if the pot becomes too crowded, the meat will boil rather than fry. And we most certainly want it browned. Season in between. Transfer the browned meat to a plate while you fry the remainder - and make sure to save all those lovely juices - nothing should go to waste! When all this browning is done I pour a whole bottle of red wine over the vegetables - boil the alcohol away and allow the meat back into the pot to join their veggie comrades for a good simmer. To this I added 5 cans of quality canned tomatoes and the same amount of water and also 2 cans of tomato puree. When the liquid is poured in, it is important make sure that the meat and vegetables do not stick to the bottom of the pot, which they have a tendency to do at this point. Again, season well. If you insist on spicing things up at this point in the process, use herbs that can handle longer cooking like bay leaves and rosemary. I made a bouquet garni using rosemary, bay leaves, thyme and marjoram. Allow it to reach a good boil, and then turn the meat sauce to a low simmer for around 2-3 hours with the lid on - this time I placed the pot into the oven, at 180 degrees. The pot is placed back on the hobs for the remaining hour, where the meat sauce is allowed to bubble and simmer gently. This needs to be reduced by at least a third up to half. It is easy to tell when the meat is ready - it will almost naturally crumble at touch and fall off the bones. Taste and see if the sauce calls for more stock - for example, if the bones on the meat were limited you might need to add some stock - but most of the time you won't have to! This time round, nothing needed to be done except for rigorous seasoning of course! When the dish is getting close to ready it is high time to add herbs that withstand less cooking, such as basil and parsley. Chop the herbs and stir into the sauce. At this point it is good rule to taste the sauce to see if flavors need to be corrected or balanced. Sometimes the canned tomatoes can be a little sour, and if that is the case you might have to add a pinch of sugar, or even a blasphemous squirt of ketchup. Season well - always Maldon salt and freshly ground pepper. . Boil good penne pasta in richly salted water with a touch of oil. When the pasta is ready, toss it into a colander and drain off the water, and then quickly back into the pot, since you need to add 2-3 ladles of the sauce to the pasta while it is still hot. Stir well until the pasta has been transmitted with the lovely crimson color of the meat sauce. Allow it to rest for two to three minutes, the pasta will absorb the sauce, and will be infused with all that wonderful flavor. The meat sauce is served with a fresh insalata tricolore which is of course a classic - this is a recipe that requires no introduction. It is always a joy to serve and I never grow tired of eating it. There is just something about the invigorating combination of fresh mozzarella, beautiful red tomatoes and those deep green basil leaves - which is n.b. one of my favorite herbs. Plenty of proper olive oil, a few twists of salt and pepper grinder, and everyone licks their chops! We also made simple garlic bread. Cut a few baguettes in half, brushed with garlic oil and layered slices of mozzarella on top. Baked in the oven at 180 degrees until the cheese melts and the bread is golden. We had some splendid wine with the food. Coto de Imaz Rioja Reserva 2004 from Spain. A surprisingly good bargain I think - a pungent Rioja wine; full bodied. Smell of vanilla and oak - the wine is apparently matured for some time in oak barrels. The flavor is rich, dense and full of fruit.